I hold then, that there never has yet existed a wealthy and civilized society in which one portion of the community did not, in point of fact, live on the labor of the other. 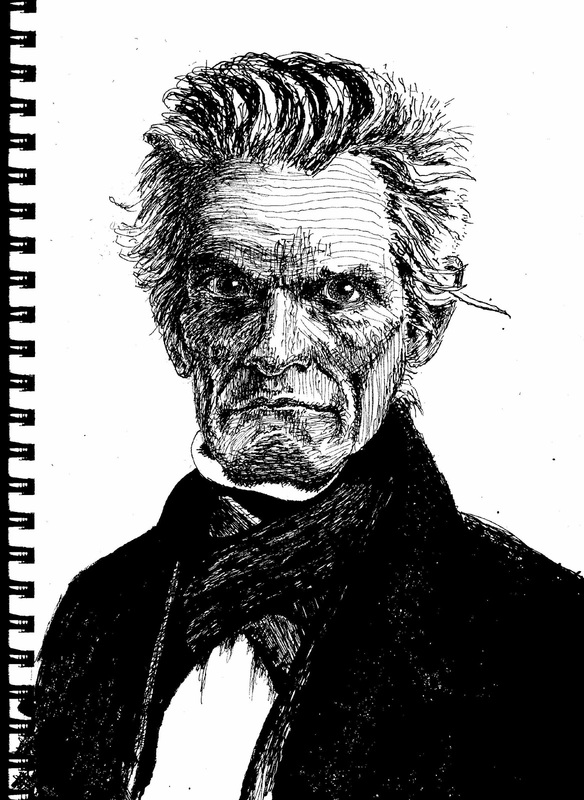 I wanted to begin this post with something like "John Caldwell Calhoun is my favorite villain from American history, villain because he believed that slavery was a positive good, favorite because he understood, unlike most of his contemporaries and ours, that the wealthy always live on the labor of others." Calhoun was deeper than a simple-minded cracker insisting on racial prerogatives. Calhoun lived from 1782 until 1850. (Delegates to the Continental Congress signed the Declaration of Independence in 1776, and Cornwallis surrendered in 1781, but British troops remained in America until late in 1783. The War between the States began in 1861.) He represented South Carolina's 6th District in Congress from 1811 until 1817, served as Monroe's Secretary of War, Vice President for Presidents John Quincy Adams and Andrew Jackson, and as Senator from South Carolina from 1832 until 1843, and then from 1845 until his death. He was also John Tyler's Secretary of State, was eager for the War of 1812, and founded the Bureau of Indian Affairs. Although he was only born late in the Revolution, we can see Calhoun as one of the founders. He began as a nationalist and advocated for public works like roads, canals, harbors, and for a national bank, and for tariffs to pay for improvements, and to protect the nation's infant economy. As the country grew, he came to see these same institutions enriching the northern states at the expense of the South. His mature positions -- nullification, concurrent majority, and expansion -- come from a need to defend his home. In the same 1837 speech I've quoted, Calhoun says apparently without irony, "...encroachments must be met at the beginning, and that those who act on the opposite principle are prepared to become slaves." He's speaking specifically about abolition -- although the hypothetical slaves mentioned would be southern planters. But abolition is a just a special case of federal policy designed to favor the North. Calhoun seems to have believed, with evidence, that humans will seek their individual survival and advantage, at each others costs, and that our duty is to protect ourselves. Defense requires security and resources seized from other hands.